Who would ever thought that Raccoon and Cats can get along just fine. Not only they get along but they are also massaging each other… or more of the Raccoon massaging the cat. I never saw this coming but they are very cute and loving together.The Raccoon keeps on massaging and playing with the cats ears so adorably. It is given that humans loves cats but a Raccoon loving cats is awesome. Cats indeed are lovely being that even the other species can’t help but be mesmerize by their cuteness. 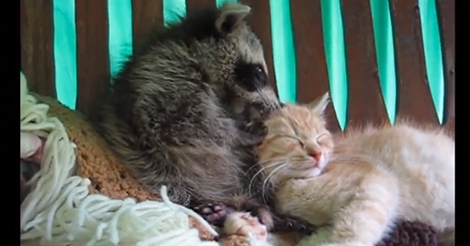 Watch the video to see a Raccoon and Cats having a lovey-dovey interaction. Sometimes you just need a little love. And what’s more loveable than this odd pair grooming each other?! Warning some people may not be able to handle the cuteness! 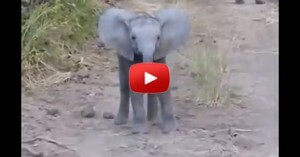 This is one of those videos that instantly make you go “awwww”. SHARE if you said “awww” and know some one that needs a little cuteness in their lives. COMMENT and tell us the cutest thing you’ve ever seen. What These Three Girls Did In A Car With Different Costumes Had Me Crackign Up!